Animals at times act intelligent and behave in surprising ways. But their intelligence also has certain limitations. As the scripture reveals that animals cannot be tamed unless trained to do so. A horse or a mule needs bridling and guiding too. When these animals are trained repeatedly with external inducements, they tend to develop a pattern that we humans find useful. But note that animals cannot be talked into doing things, like human beings for instance. Human beings are bestowed with a unique ability to understand things and rationally weigh different options presented to them in a given situation. When an instruction or an advice is given, only human beings can heed them or submit to them. It is also us humans who can heed to the promise given by God in the previous verse, “I will instruct you and teach you in the way you should go; I will counsel you with my loving eye on you” (verse 8). Psalmist is presenting these two contrasting views in the verses to highlight the fact that only human beings are bestowed with the ability to heed to instruction, learn the ways taught to them and take guidance from the counsel given by God. 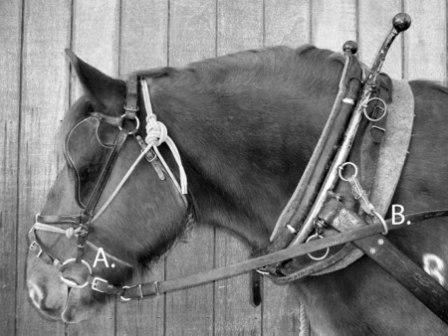 By mentioning about horses and mules, God is only urging us to exercise our unique ability to submit to God’s leading and guidance. We are special and unique in so many ways in the whole universe because of the rational powers we’ve been vested with. We do not need external inducements or exertions to obey God. We can voluntarily submit our will to him and heed to his instruction. As Christians, we know that God leads us and instructs us in many ways. Only sensible thing for us to do is to submit our lives to him on our own so that he might lead us. This verse seems hilarious but it is relief to live in less than ideal housing- if you are a man who has to endure quarrel after quarrel! It is surely more than 4 walls and a roof. It is the relationships between the people who inhabit the dwelling. It must keep people coming home and NOT keep them from coming home! I think singles, married couples and parents/kids can all contemplate this verse today. If so- what can I change this day? You can’t change another person anyway … so why not let change begin with you?